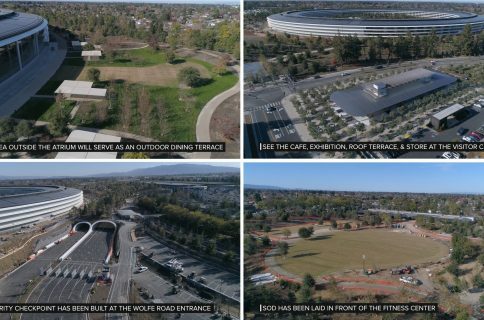 Drone pilot Duncan Sinfield last Saturday published new aerial footage of the 175-acre Apple Park site on his YouTube channel, offering a glimpse at the entrance into the Steve Jobs Theater with its lobby light on. 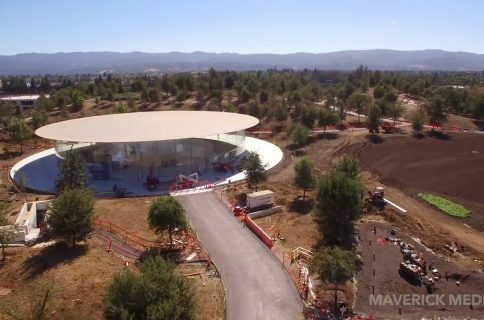 “Opening day is getting closer at Apple Park, landscaping and road-striping are not the only things wrapping up,” reads the video’s description. 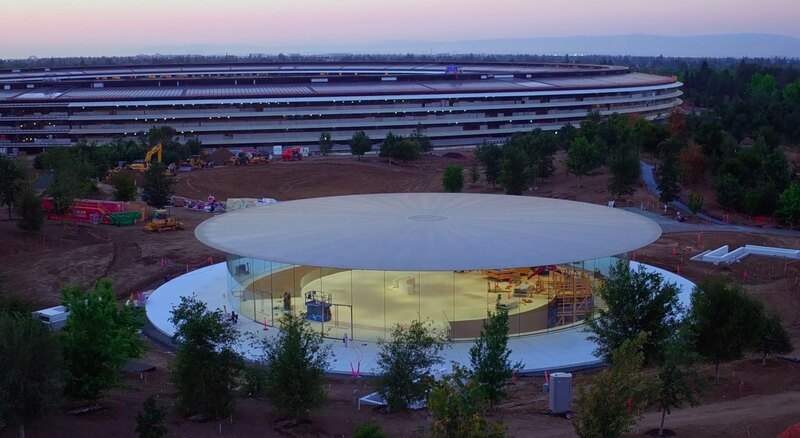 Located atop a hill at one of the highest points of the upcoming campus, the Steve Jobs Theater sports the world’s largest freestanding carbon-fiber rooftop. Featuring glass staircase spiraling downward to an underground 1,000-people auditorium, the Theater will be used for corporate meetings and Apple media events, meaning the unveiling of iPhone 8 will most likely take place there. “Steve’s vision for Apple stretched far beyond his time with us. He intended Apple Park to be the home of innovation for generations to come,” said Tim Cook in April. The video revels significant progress being continually made on the main ring-shaped building, offering a nice look at the main atrium with its floor-to-ceiling glass doors. Landscaping work will continue for a few months after offices in the main ring-shaped building are completed. 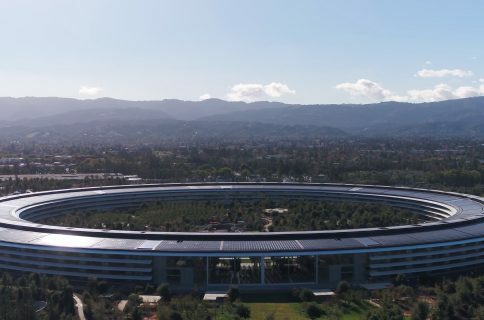 Since April, employees have been gradually moving into Apple Park.